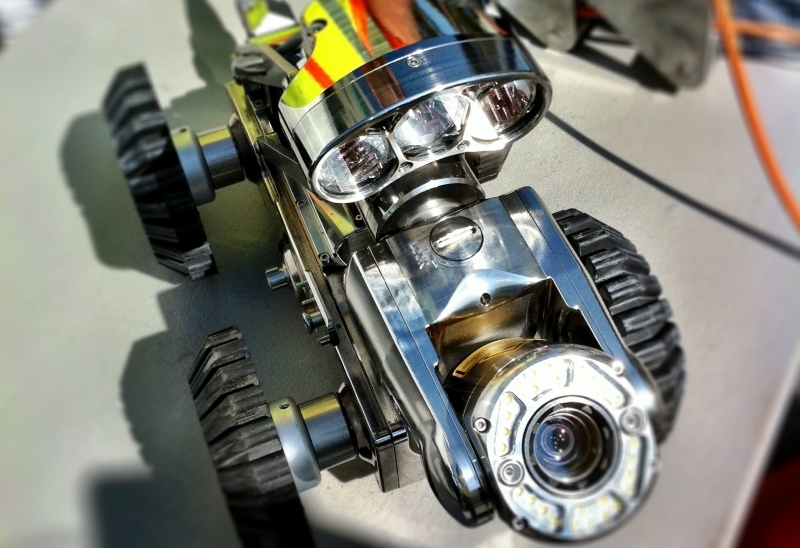 BSI provides full color CCTV inspectional services for sanitary sewer and storm drain lines ranging in size from 3” or larger in diameter for up to 600 feet. BSI can also perform CCTV inspection for empty electrical and telecommunication conduits as small as 2” for a maximum length of 200 feet. Our equipment has the capability to input text and audio notations throughout the CCTV inspection and our reporting capabilities are state of the art in the industry. BSI utilizes high pressure sewer jetting equipment to properly clean any given sewer or drain system prior to CCTV inspection to maximize our inspection capabilities and to reduce the risk of blockages encountered. In addition to recorded color video data, BSI can electronically designate the horizontal location of the CCTV camera head by means of a Sonde transmitter. This allows BSI’s field engineers to survey locate sewer, drain or empty conduit locations within the tolerances of Quality Level B information per CI/ASCE 38-02. BSI is able to provide CCTV inspectional data to our clients in virtually any video format the current market has to offer such as DVD, VCD, MPEG, WMV, and even VHS if so desired. BSI has provided professional services for numerous state / city agencies, water /waste water industries, higher educational facilities, medical facilities, commercial / industrial facilities, Departments of Transportation and many more. New to SUE? Contact BSI to set up a presentation on CI/ASCE 38-02 and Subsurface Utility Engineering to learn what SUE can do for you on your next project. BSI is now SCREAM™ (CH2MHill) Certified!